In a previous post, 3 Smart Applications for Process Visualization, we discussed how the term “process visualization” has evolved since the introduction of the SmartLight. While it can definitely be used as a stack light, its additional modes can be applied for all sorts of different operation/ process visualization tasks. Below are a few more examples we’ve come across. From micro-breweries to steel-mills and oil refineries, all have state-of-the art tack fill level detection systems measuring fill levels to the last millimeter or in some cases cubic inches. But when you want to take peek at the how much the reservoir is full at any given time- you have to go to the HMI in some corner to see that value. Nine times out of ten this fill indication provides you only with numerical value. What if SmartLight shows you the value visually using the level mode of operation? Then the decision to run another batch of bottle filling can be taken without going to that corner and punching some numbers. Additionally, the colors of the segments can be changed to indicate the temperature or pressure inside the tank or just different fill levels so the line supervisors can take decisions promptly on the next action. Several times plants invest in huge TV monitors to provide a real-time visual feedback to their employees on how their operations are progressing compared to the quota assigned. At one plant, they found no increase in employee productivity with such investment because the TV monitors failed to provide a visual feedback. The television sets indicated 112/300 – which meant nothing to the operators. The SmartLight, however, provided them the feedback using the level mode of operation on how they are performing to the quota. The moment SmartLight turns yellow was an indication to the operator(s) that they are falling behind the level of the lighted LED indicated that they are closing the gap to their daily quota. If the operator notices problems with the batch of components or machine itself they could change the SmartLight to a run light mode with a push of a button indicating trouble in the workcell – the supervisor then can deploy the right maintenance person to the cell. Utilizing the SmartLight light not only provided instantaneous feedback on performance but also added efficiency in handling production issues. In one automotive plant, the maintenance team designed an innovative solution with SmartLights for hazard communication. 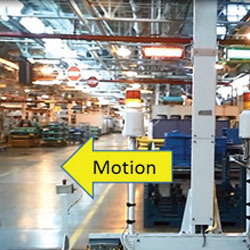 This plant has several automated guided vehicles (AGVs). 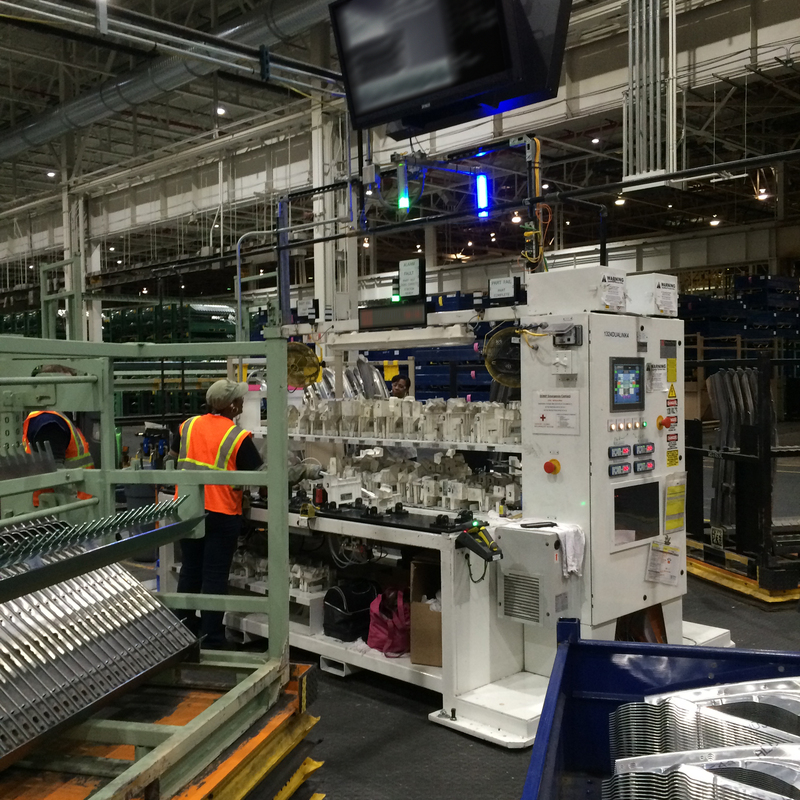 The light indicators on these AGVs are the same type that was on the mast of most of the workcells in the plant. It was hard to notice when the AGVs were pulling out of and entering their parking stand. Maintenance engineers installed SmartLights on the mast of the AGV parking stand and with different color scheme and level mode indicated if the AGV is coming to stop or just starting the motion. This simple idea avoided daily occurrences of mishaps for the forklift drivers and operators. 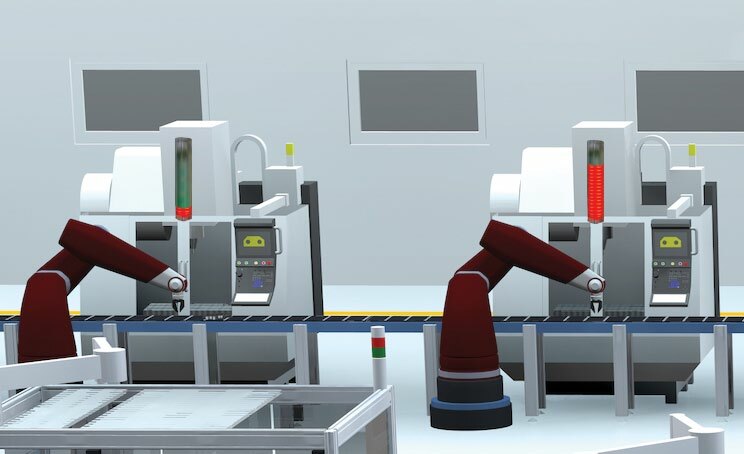 With linear assembly process it can be difficult to detect bottlenecks in the production process. 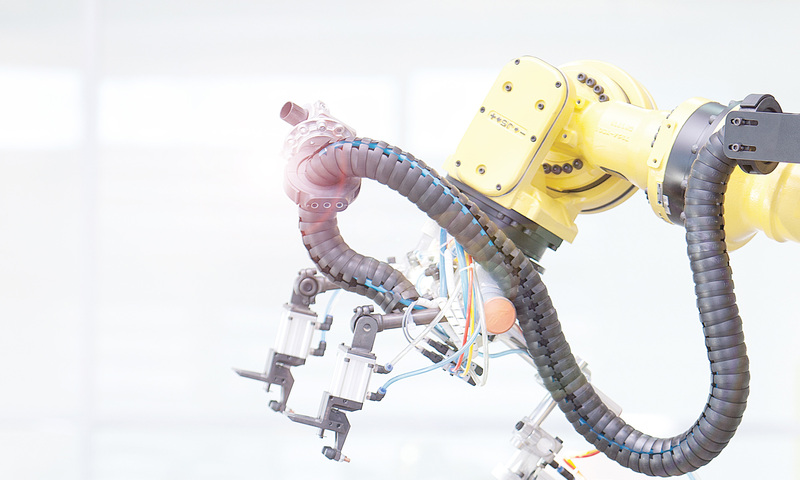 With increase complexity of today’s production flows the bottlenecks dynamically change under various conditions. Installing SmartLights programmed to change their mode of operation depending on certain conditions (on-demand change of mode) could help point out bottlenecks in the current environment. For example, these days the automation controllers are equipped to calculate its overall equipment effectiveness (OEE). That information can be directed to the SmartLight. A specified segment may turn green when OEE >80%, turns yellow when 60% < OEE < 80% and red if the OEE falls below 60%. Now, the plant supervisors can see the overall picture of the entire floor to make informed and timely decisions. Wouldn’t it be nice to know how long it takes to replenish the stack of pallets in the robotic palletizing cell? Or how often the operator has to go into the cell (causing stop operations) for mis-fired sensor or dropped package? How about break-times for the operators? Well SmartLights can be used for all these types of operations. This can be done by changing the blinking frequency of the SmartLight segment, and changing the colors or modes of operations, a multitude of information can be displayed for various purposes. We want to hear from you! Do you have a unique application for the SmartLight? Share your story with us here.